Synopsis of the novel "to live, to die"
This is a novel in which the protagonist is Nazism itself: one of the greatest of all human catastrophes. The whole of the Nazi hierarchy and the leaders of the Allied powers, as well as their ministers and ambassadors, dance around the principal protagonist, weaving the narrative through with their acts and their words. The author, basing his work on a rigorous respect for their historical personages, frees them all so that each can develop according to his personality. Among the fictional characters is a group of philosophy professors from the University of Hannover, anti-Nazis, who debate the horror of the political cataclysm detonated in Germany. Of the group, only one survives: Herbert von Kleiber who, due to a supposed “heroic” coincidence of double interpretation, encounters Hitler and argues with the philosopher Martin Heidegger, his former teacher and supervisor. But the rancor and ambition of Martin Borman, Nazi party “boss,” who Hitler calls a “guard dog,” leads him to sniff out von Kleiber’s anti-Nazi sentiments. Borman investigates and obliges von Kleiber to act as a mole in the home of his friend, Edda Hassa, from where, through a clandestine communications network, Borman follows the events that come to pass and analyzes this tragedy, a tragedy which transcends, inconceivably, the limits of human nature. From the countless events that took place from Hitler’s ascent to power until his disappearance – the tempus of the novel – the author has selected the most significant and illuminating. And all together, around Nazism, they turn in the dance of horror and death brought about by the worst political catastrophe in history. 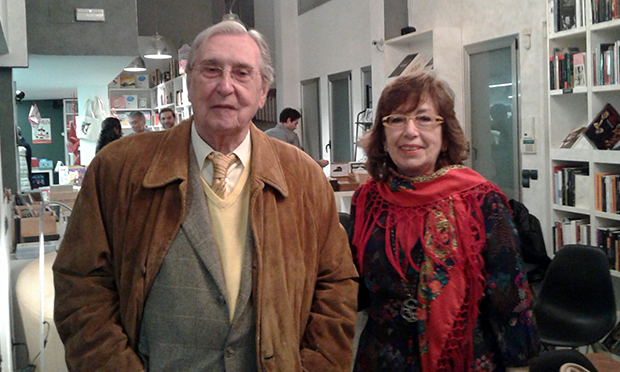 Presentation of the novel "to live, to die"
On January 12, 2017, at Llibreria Ramon Llull, the presentation of Vicente Puchol's novel, Vivir para la muerte, took place. Participated in it: Claudia Simón, Ángeles Casabó, and Mercedes Puchol. 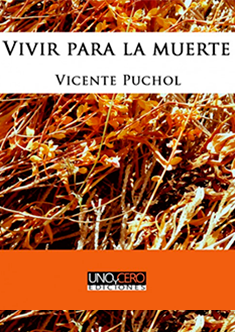 They focused the novel, respectively, from the point of view of the biography of Vicente Puchol and his relations with Valencian writers, Juan Gil-Albert and César Simón especially; from its implications and legal basis, to end with an analysis of the novel from a literary and psychoanalytic approach. They insisted on the transcendence of the fundamental theme of Living for Death, Nazism, and the need for the novel to be read and to know the horror of part of our history that should never be repeated.